Action cameras are starting to pick up the pace in terms of popularity, and for a very good reason, too. After all, we live in a generation where selfies and even “we-fies” saturate social media, as we love to share a good story with the rest of the world – and what better way to do so than to have a picture speak a thousand words on your behalf? Trying to explain the exhilirating feeling of an adrenaline pumping ski route to a beginner is pretty difficult, and with the help of an action camera, your task is more or less done. 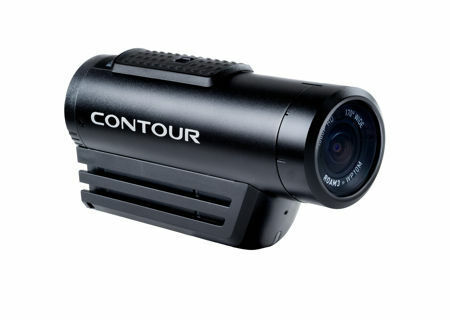 Contour has just announced their latest action camera, where it is aptly known as the Contour ROAM3 action camera. What makes the Contour ROAM3 action camera so special? For starters, it is one tough cookies, being able to remain waterproof for up to 30 feet without the need for a case, now how about that? In addition, it will boast of a quick-photo mode as well as an award-winning low-profile design that ensures it looks good while you wear it, of course. This durable action camera was specially built for adventurers all year round, boasting of a waterproof and impact-resistant aluminum housing. It will drop a traditionally bulky case associated with waterproof products, offering an elegant form factor instead. Using the Contour ROAM3 action camera is also a snap even if you are a beginning – in order to record, just move the slider forward, and you are good to go. Want to shoot a fantastic shot while you are up there, high in the mountains? Not a problem – press the status button and switch to photo mode. The Contour ROAM3 action camera will carry a $199.99 price tag, where other hardware specifications include a lithium-ion battery, 8GB of internal memory, the ability to record video at 1080@30 frames per second or 720@60 frames per second, a 270-degree rotating lens, and a pair of low-profile mounts. I really loove this camera, gonna buy it.